Thevenin Painting has proudly provided painting and other services to our community since 1985. Choose us to protect your health and safety. Thevenin Painting completes work in a timely manner, without sacrificing any aspect of quality. Head on over to see your painting options today! 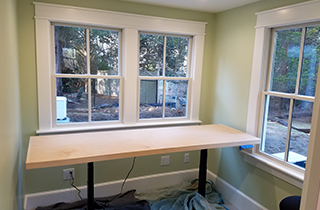 Book your painting projects now before it's too late! Thevenin Painting’s core values include honesty, integrity, and quality, which shows in all that we do. 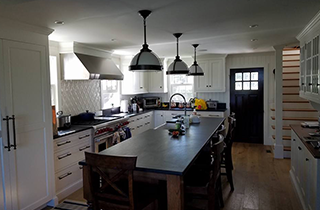 When you are looking for a painting company or professional painter in Duxbury, MA who does residential painting, you will never need to look further than Thevenin Painting. There are many companies out there offering painting services, but why not choose the best? 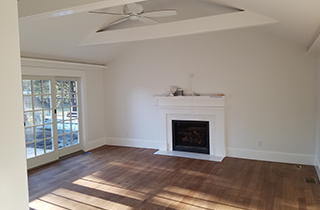 Thevenin Painting is experienced, knowledgeable, professional, and clean. You can always count on us to provide a perfect painting job that will last. We have a stellar reputation in the community for providing services that are way above the ordinary. Quality in all aspects of the job is importance to us. We use only the most advanced and highest-quality sundries, primers and paints to guarantee a perfect result. We believe reliability is important, so we are always on time. We are always available to answer your questions. Your comfort is also a concern to us, since we want you to feel comfortable with our crew being in your home. For your peace of mind, all of our employees have had thorough background and criminal checks. Thevenin Painting takes pride in the work that we do, and we always stand behind our finished product. We believe that we have met our goal— to offer superior work at an affordable price— when the customer is happy! Make an appointment with us today!